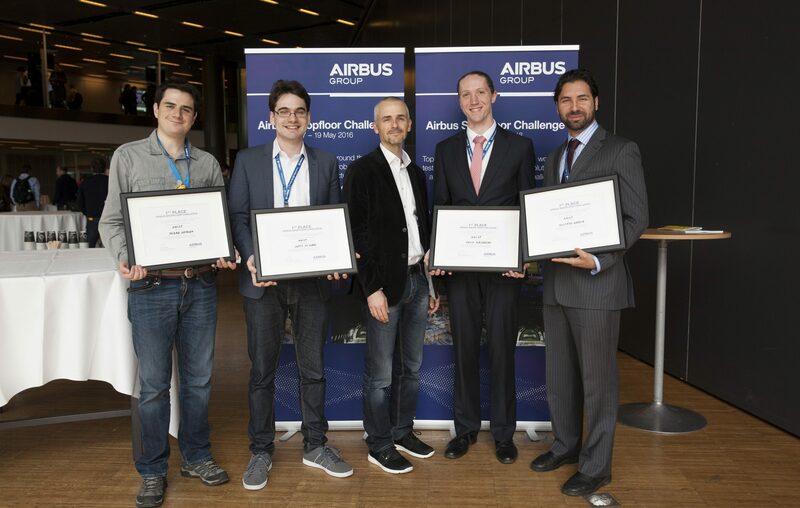 The IEEE International Conference on Robotics and Automation (ICRA 2016) is the flagship robotics conference of the IEEE, and the Airbus Shopfloor Challenge was its biggest contest with a cash prize of € 20,000. It was sponsored and organized by Airbus, one of the biggest aircraft manufacturers worldwide. Airbus invited top robotics teams from around the world to tackle a real-life manufacturing challenge with innovative solutions to solve a specific, complex task of aircraft assembly. The teams were asked to design and build an advanced lightweight robotic system able to perform accurate drilling compliant with aeronautic standards. After two days of competition, Team NAIST from the Robotics Laboratory proudly achieved 1st Place. The jury not only praised the accuracy and performance of the proposed solution, but also its innovation and design. Find out more about the challenge and other competing teams in the video below.